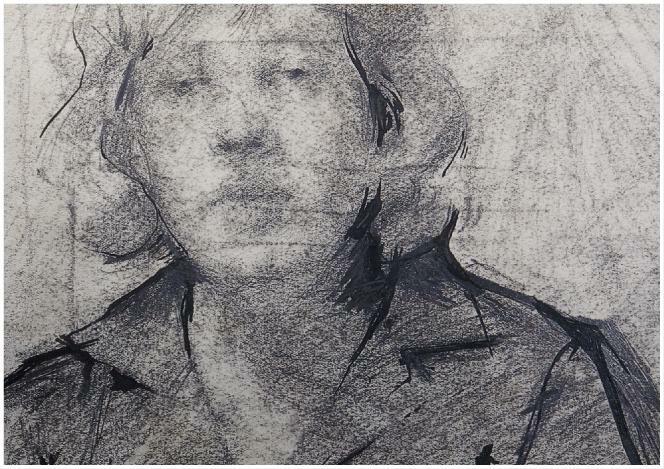 This is an original framed artwork, a draft sketch in pencil, charcoal and wash on board, bought at one of the very few exhibitions he displayed at the birmingham convention centre in 1994. This is a very rare self portrait Robert did of himself when he was very young, on the reverse is a scene of him and his friends in a pub. Accompanying this sale, is the original receipt and the Exhibition invite and sale catalogue, see below.